27th Lancers Bottle Insulator Clearance! – Keep your favorite beverages nice and frosty with a 27th Lancers Bottle Insulator! The soft material insulates your drink keeping it colder longer. It also protects your hands from the bottle while absorbing the wet condensation that can accumulate. This music gift fits standard 20 oz water or soda bottles. 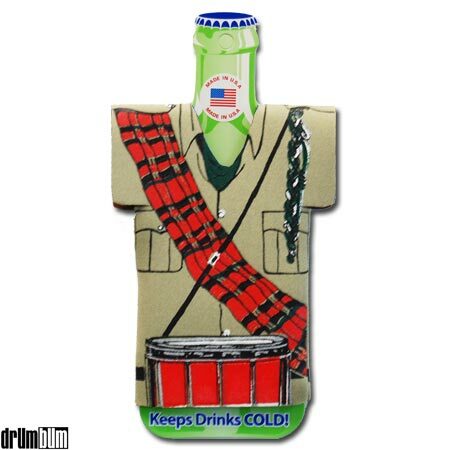 Show off your 27th Lancers drum corps spirit and passion for drums with this koozie! All drum corps designs are copyrighted. Approx. 6.5″ H with 3.5″ diameter. Unique Gifts for Drummers at DRUM BUM!